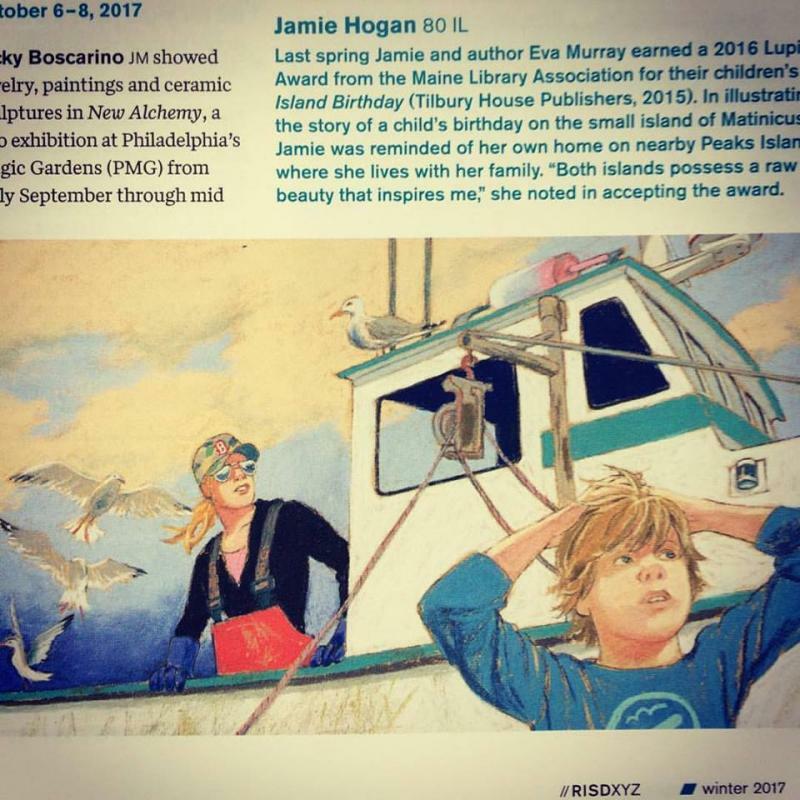 According to the women of "Chix Who Fish," an advocacy group for women in commercial fishing, Island Birthday appears to be the only children's book out there depicting a female lobster boat captain! Island Birthday wins the Maine Library Association's Lupine Award for 2015 Children's Picture Book. Peaks Island artist Jamie Hogan and I have collaborated on a children's book, published by Tilbury House in 2015. 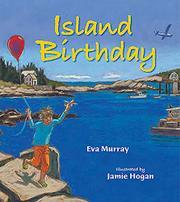 Island Birthday introduces readers to some of the joys--and some of the exasperation!--of remote island life. 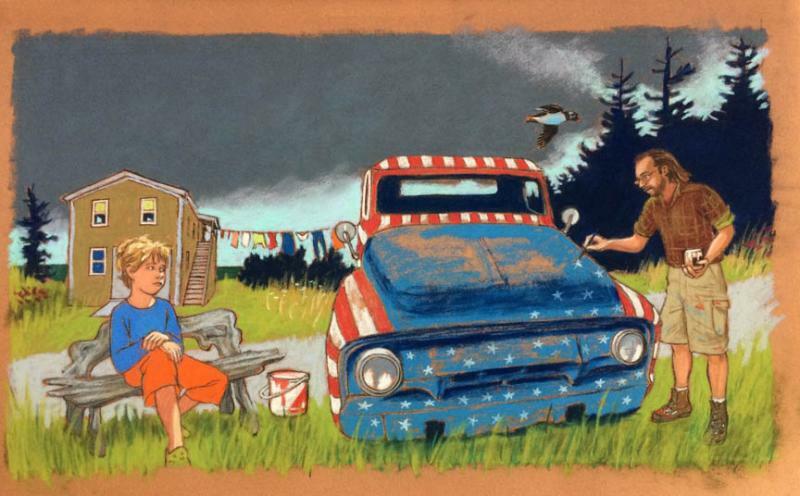 Young Riley and his neighbors, such as the lobster boat captain, the telephone repairman, and the artist, commiserate about running low on supplies and waiting for the weather to improve so the freight delivery airplane can come. Emphasizing the pleasures of living in a close-knit community, Maine's natural beauty, and the necessity of learning patience, Island Birthday showcases an authentic island experience while remaining accessible to readers from anywhere. -The child in the story is not living in an age-segregated world of structured children’s activities directed by adults. -Instead, he is simply a member of his community, interacting with others as an equal. He knows the postal clerk, the phone man, the pilot, and others as neighbors just the same way any adult might. They, in turn, speak to him with the assumption that he will know what they are talking about; he isn’t treated as though lacking in maturity or sense just because he is a child. -The child is not asking permission for every move he makes. He is safe to move about in his community. -There are no electronic entertainments in this child’s day, at least this particular day. -He is spending most of his time outdoors. -The island life depicted is not a stereotyped, summer vacation "Maine"
of sailboats, lighthouses, and lobster bakes. Emphasis is on community members who have to make a living (the lobster boat crew and the artist are in need of supplies) or who keep important services going (such as the telephones and the post office). Emphasis is also on the flying service--the little bush-pilot-type air taxi company-- which, in the absence of a daily ferry, mail boat or water taxi on this particular island, is a major part of every islander’s life. This is unusual but entirely factual.